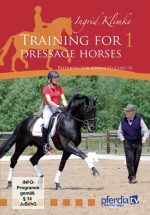 Dressage: Exercises to improve extension; rhythm; relaxation; contact between the rider’s hands and the horse’s mouth; familiarization with rider aids; half- and full halts; transitions; signs of suppleness; first show ring experiences; and much more. 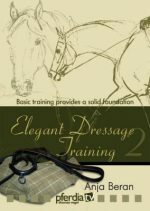 Pole work (cavalletti): Introduction to the technique and work on the longe line. Jumping: First jumping obstacles; use of a lead horse; and gymnastic series. 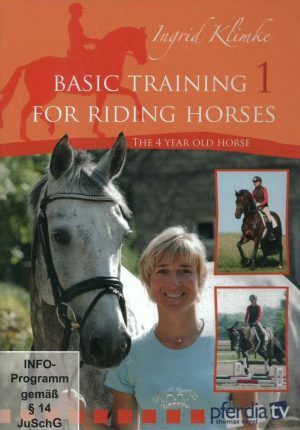 Cross-country: Use of the safety seat; first jumping obstacles; introduction to water; work uphill and downhill. If one were to conjure up an image of an athletic, forward moving and motivated dressage horse and accept the German FN guidelines as the basis for training horses correctly, only one name would immediately come to mind – Ingrid Klimke. 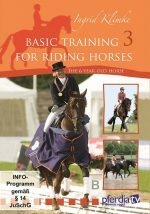 She learned to ride correctly from the absolute basics right through to the highest technical level and continues in this vein today – single-mindedly, passionately and with the utmost success in all of the three disciplines of dressage, eventing and show jumping. Those who learn from her can be certain of being on the right track.